One of several memorial trees on campus, this one planted in conjunction with Charlie’s Terrace, honoring the late Dr. Charles Slavin, a dean of the Honors College. 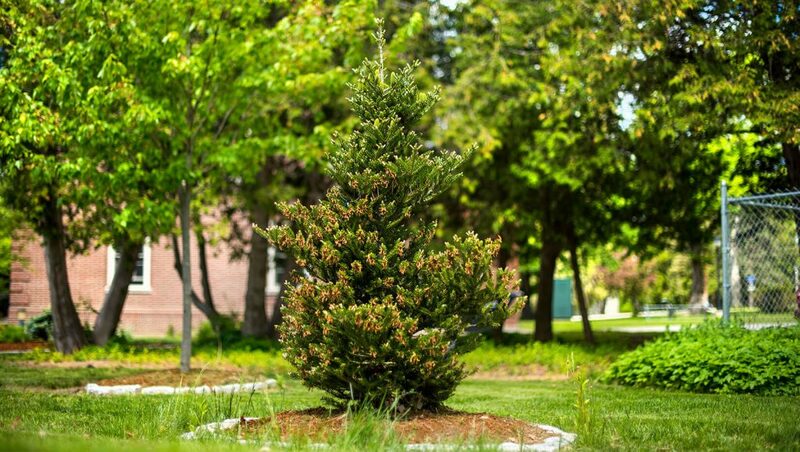 A cultivar of the Korean fir, the silberlocke was introduced in Europe in 1979 by Gustav Horstmann who developed it; brought to U.S. in 1986. 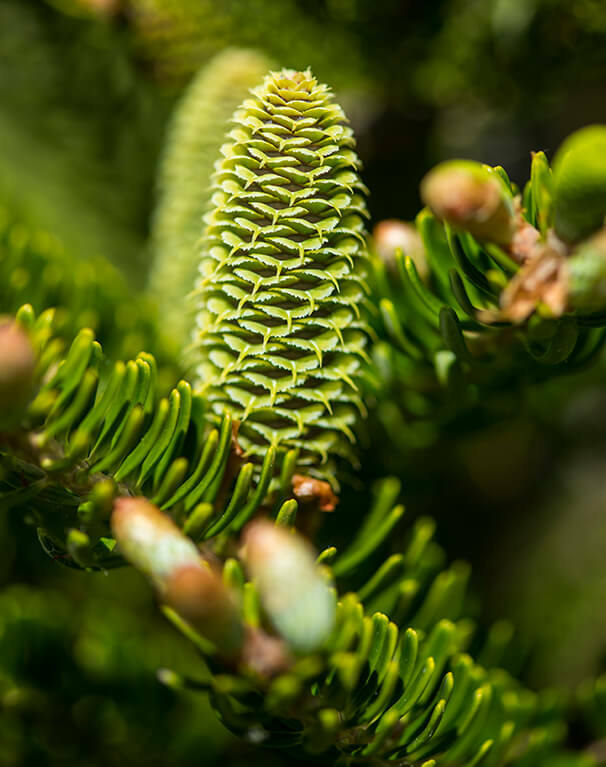 Dark green needles curve upward around the stem, revealing silvery white underside and giving a lovely two-tone effect to foliage; pyramid form, smaller than the Korean fir. Cultivar grows well in cold, snowy regions such as Maine; the mountains of South Korea are the home of the fir itself.